… And you thought your pool was cool enough. 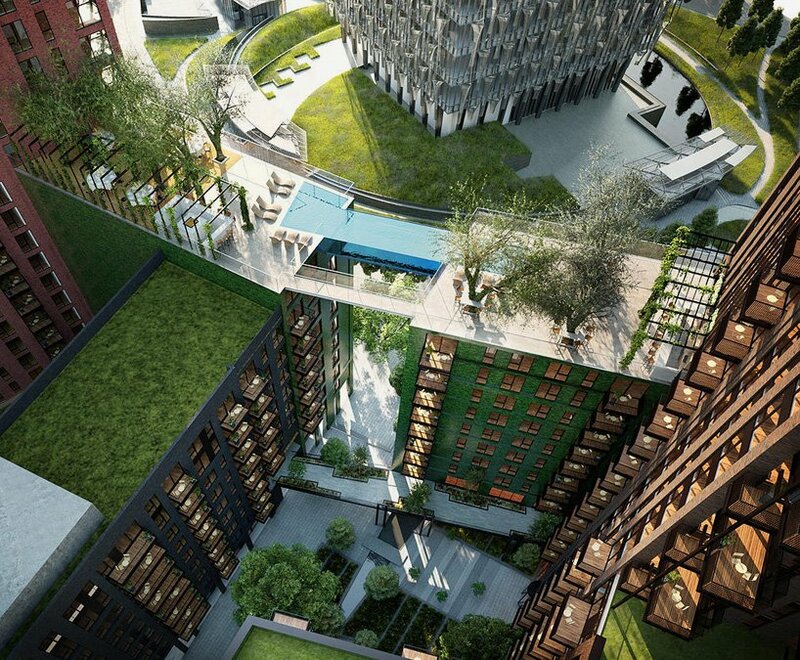 London is about to become even more luxurious. 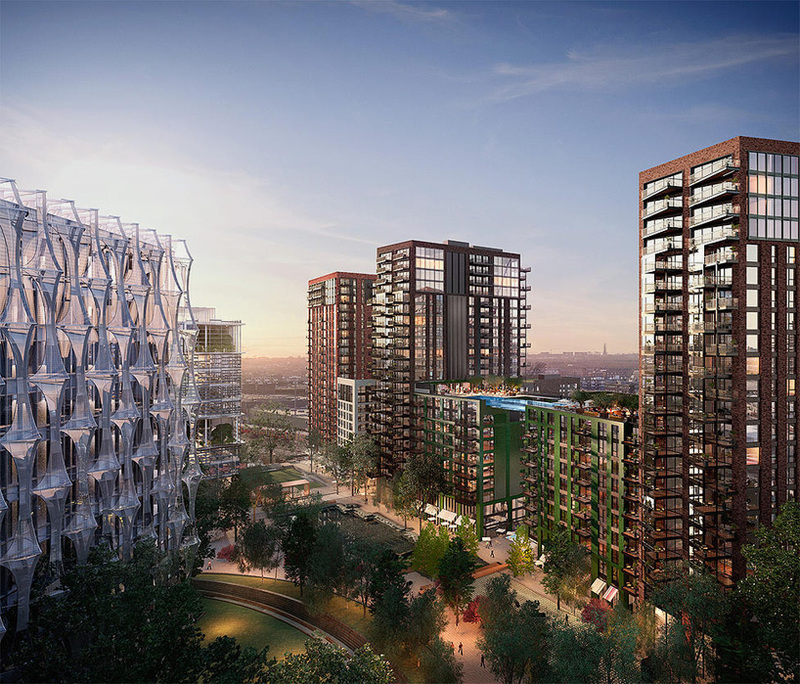 Ballymore and Eco World are working on Embassy Gardens – a pair of exclusive apartment blocks which will be linked by a swimming pool – and the suites and penthouses will go on the market in September. It has been reported that on site construction is set to begin this year, and buyers will be able to move in in 2018. Sean Mulryan, chairman and CEO of Ballymore Group said that they are planning to introduce world’s first glass-bottomed Sky Pool, which will be suspended 115 feet in the air and will act as a sort of bridge between two apartment buildings in the Nine Elms district in London. The spectacular and transparent swimming pool will be 25 meters long, five meters wide and three meters deep. A ‘Sky Deck’ – which will be located at the top of the two buildings – will have a spa, summer bar, as well as Orangery. In addition to that, Embassy Gardens will feature landscaped gardens, a riverfront walk, and numerous bars, restaurants and shops for residents to enjoy. Mulryan said that his vision for the Sky Pool stemmed from a desire to push the boundaries in the capability of construction and engineering, and the CEO of Ballymore Group was looking to do something that had never been done before. He confirmed that the experience of the pool will be truly unique, and that it will feel like “floating through the air in central London”.